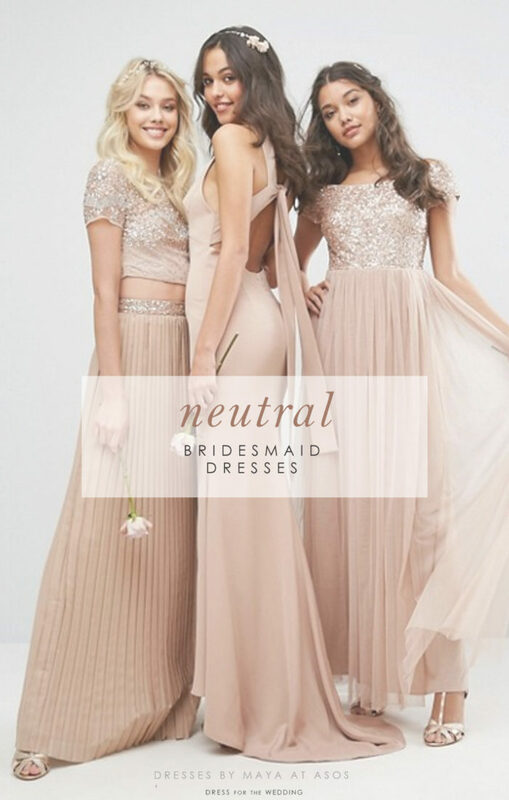 Picks for neutral bridesmaid dresses in taupe, beige, tan, blush, champagne, use affiliate links. Neutral bridesmaid dresses in pale shades of beige, taupe, tan, gold, blush, champagne, cream, and other neutrals, make for an understated and elegant wedding party. As you may know, neutral dresses like these are timeless, elegant, and a very popular style for modern weddings. For an even richer style, one can also mix in some metallic gold bridesmaid dresses or metallic sequined, and beaded styles to make your bridal party sparkle! 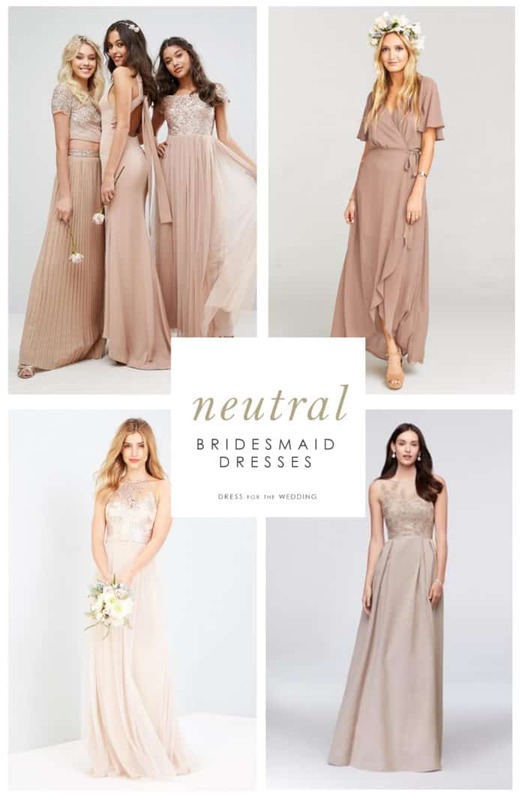 Without further ado, here are some of my favorite picks from neutral bridesmaid dresses from trusted retailers where you can find bridesmaid dresses to purchase online. Affiliate links are used in the shopping links in this post, meaning this blog may receive a commission from our sponsors at no cost to you, if a qualifying purchase is made. You might also like this post on how to get the mismatched look with bridesmaid dresses. Also check out our pages for sequined bridesmaid dresses, rose gold sequin bridesmaid dresses, and neutral mother of the bride dresses. Also try neutral bridesmaid dresses at these sponsoring retailers. Customized to your measurements, and often under $150 – with bridesmaid dresses in all sorts of neutral colors from Azazie.